“When legend becomes fact, print the legend”–in the lead up to the June 23rd referendum on Great Britain’s membership in the European Union the majority of UK media appeared to have adopted the advice of a conniving reporter in the legendary Western film The Man Who Shot Liberty Valance: British tabloids have fed the public a steady stream of half-truths and distortions painting the picture of an undemocratic out-of-control bureaucratic behemoth in Brussels that needs to be discarded as quickly as possible, lest it grabs the last remnants of ancient British liberty. As a consequence, throughout the run-up to the Brexit referendum, it was impossible to have informed public debates on the costs and benefits of Britain’s membership in, or exit from, the European Union. The voices of reason were further drowned out in the echo chambers of social media platforms that only reinforced pre-existing opinions held by voters on the Brexit—destroying any chances of genuine dialogue. Indeed, the whole spectacle of a referendum—a “device of dictators and demagogues,” in the words of Margaret Thatcher—underlined a salient point: our soundbite culture, combined with political populism, renders direct democracy in the form of a referendum entirely unsuitable as a tool for deciding complex policy issues. This is not a new revelation. 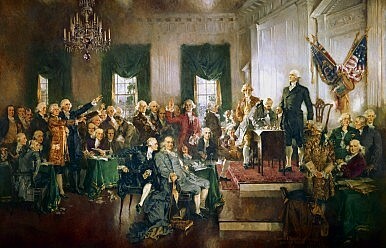 Some of the American Founding Fathers were vehemently opposed to direct democracy. They feared the consequences of an uninformed public formulating a country’s policy on a particular subject, realizing that one of the most important preconditions for direct democracy, i.e. a rational discussion of the issue where all points of view are carefully weighed, would not be possible amidst demagogy and the “tyranny of the majority,” as John Adams put it. [A] pure democracy, by which I mean a society consisting of a small number of citizens, who assemble and administer the government in person, can admit no cure for the mischiefs of faction. A common passion or interest will be felt by a majority, and there is nothing to check the inducements to sacrifice the weaker party. However, the Founding Fathers had it right. There is an inherent danger coming from direct democracy when combined with an uninformed and manipulated public that has to decide the policy of a country, as we saw on June 23 when 36 percent of eligible voters in the UK chose to exit the European Union. Again, this should not come as a surprise. In one sense, the Brexit referendum illustrates as much the failure of the experts and elected politicians as it shows that relying on the masses and populism can lead to suspect and potentially damaging decisions. In that sense, we have to guard ourselves against direct democracy being hijacked by demagogues and populists lest we have to endure the “tyranny of the majority” at the expense of wiser policies.